This year I'm going to attempt to write about every vinyl record I purchase in 2014, these items will be labelled "2014" (obviously). I've been quite active as a vinyl collector already and have several titles to review. 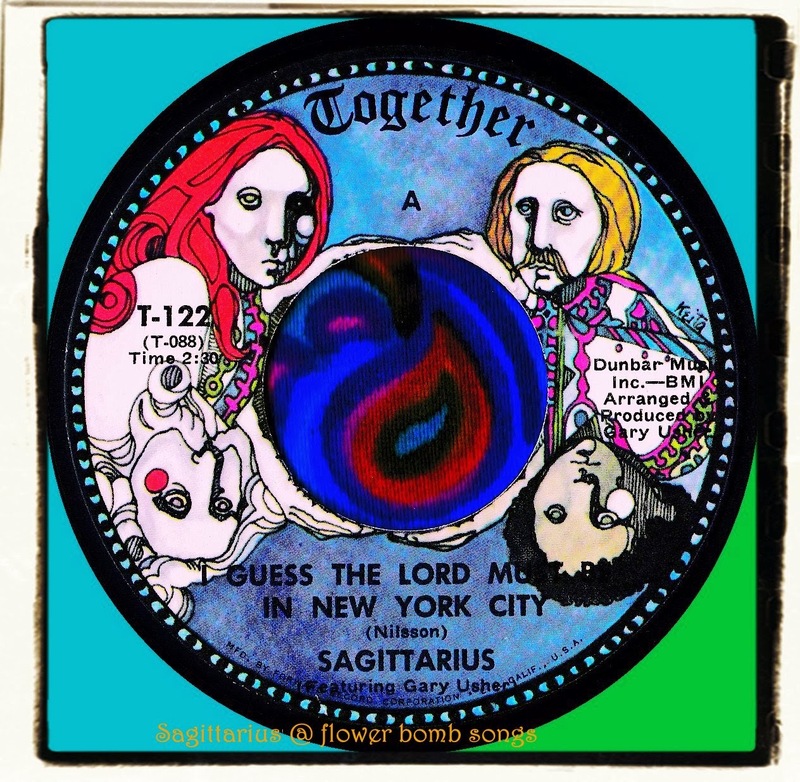 First up is the final single by pop psych outfit Sagittarius. 'I Guess The Lord Must Be In New York City' was written by Nilsson and is a sublime merge of country & western with harmony pop psych. The layers of rich harmonies with pedal steel guitar and the unusual sound of the Moog synthesizer produce a sublime sound. This song was not on their second and last studio album "Blue Marble" so is obviously one to track down. The flip 'I Still Can See Your Face' written by Gary Usher is another country/pop psych master craft which can be found on the previously mentioned long-player.